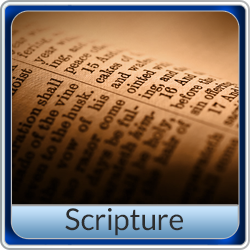 Scripture presents a dynamic, in-depth course that Matthew Kelly from Dynamic Catholic.com and My Catholic Faith Delivered have teamed up to present. This series on Sacred Scripture will give you an overview and introduction to this intriguing book; a book that has not only changed the world but is also given a divine role to play in each of our lives. The Scripture couse is filled with rich detail, inspirational imagery, engaging interactions, and over 60 fantastic videos featuring Matthew Kelly. 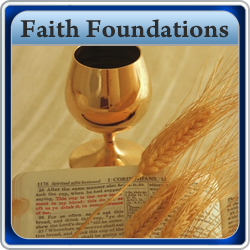 Faith Foundations presents the teachings of the faith in an interactive format that presents the information of the lesson through video presentations which draw heavily from scripture. Using a mix of personal stories, prayers and discussion questions, this course makes it easy to learn and understand the Church's teaching about topics such as the Bible, Mary, Prayer, the Mass and the Sacraments. 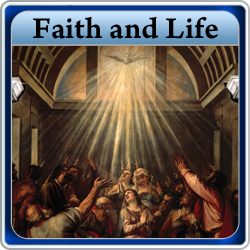 Faith and Life presents students grades 1-8 with a thorough grounding in Catholic doctrine, Sacraments, morality, social teaching, and Church life and mission, in light of salvation history. It emphasizes the Triune God, the human person made in God's image, Jesus Christ as God among us, the Paschal Mystery, and the Church as the People of God and the Mystical Body of Christ in history. It also stresses the Eucharist as the source and high point of the Christian life. Living Catholic Based on the Four Pillars of the Catechism, Living Catholic combines themes of prayer, parish life and evangelization to provide a quick walk through the catechism. This course is a short foundational Year of Faith course designed to reach Catholics looking to learn or re-learn the beautiful truths of the Catholic faith which we are all called to share as part of the new evangelization. This course is a response to the Holy Father's call for the Year of Faith. Theology of the Body Monica Ashour, former junior high and high school teacher of 20 years and now national speaker, makes these teachings come alive by giving basic tools to guide adults in their work with teens. Parents and others will surely feel more equipped to answer various questions teens pose and to guide teens in the way of living more fully, especially in the area of sexuality. 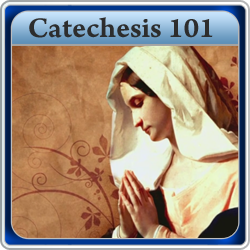 Catechesis 101 My Catholic Faith Delivered, along with the Diocese of Sacramento, have joined to create a new, online course designed to help catechists develop their teaching, spirituality and methods. This course gives an overview of the deductive and inductive methods of learning and introduces a powerful catechetical method, comprised of five simple steps: Preparation, Proclamation, Explanation, Application and Celebration. 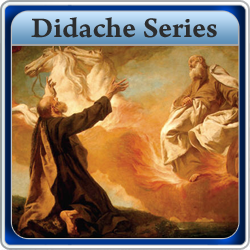 The Didache series is the most comprehensive catechism is the Catechism of the Catholic Church. It is found in over 600 Catholic schools in the United States. The Didache Series presents the life doctrine of the Catholic Church in the context of the Catechism of the Catholic Church and the teachings of the Vatican II as witnessed by the pontificates of Pope John Paul II and Pope Benedict XVI. The series also draws from Sacred Scripture, the lives of the Saints, and the Doctors and Fathers of the Church. Currently, the three titles available are Understanding the Scriptures, History of the Church and Our Moral Life in Christ. Are you looking for interactive, engaging Catholic Content for young people? How do I engage teenagers while teaching the fundamentals and doctrine of the Catholic Church? Would you like to feel more confident teaching your faith? Are you looking for a program to help your diocese or parish standardize their teaching methods? 2012 is the Year of Faith. How will you celebrate your faith?